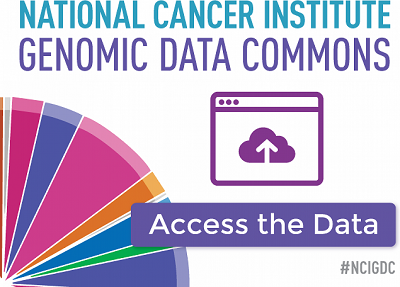 The NCI’s Center for Cancer Genomics launches the Genomic Data Commons (GDC), a unified data sharing platform for the cancer research community. The mission of the GDC is to enable data sharing across the entire cancer research community, to ultimately support precision medicine in oncology. The GDC serves as a single knowledge base which unifies genomic and clinical data from different research programs including The Cancer Genome Atlas, Therapeutically Applicable Research to Generate Effective Treatments, Cancer Genome Characterization Initiative, and The Cancer Cell Line Encyclopedia. Data in the GDC are harmonized, enabling direct comparisons across datasets and enhancing statistical power. The GDC is also equipped with a platform that allows users to search, browse, download, and analyze data with bioinformatics tools. Users also have the ability to submit their own clinical and molecular data. These features of the GDC will accelerate the process of discovery in cancer biology and may lead to more precise treatment strategies. For more information, please read the press release and visit the Genomic Data Commons.